Buying and cooking local produce is a great way to experience any city and the life of its residents. 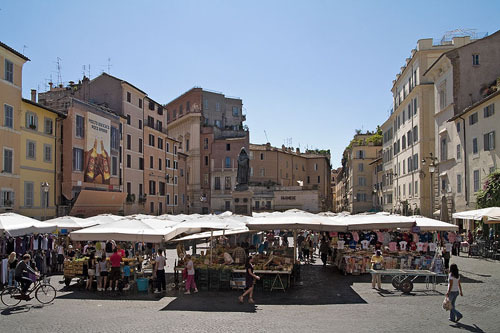 Campo dei Fiori, once a horse market and a place for meting out capital punishment, is now best known for its daily flower and vegetable market, and a perfect place to source fresh ingredients. Not in a cooking mood? Browse the market for clothes and collectibles, then relax at one of the many restaurants and cafes in the area. A statue of philosopher Giordano Bruno, burned for heresy during the Catholic Inquisition, stands on this charming square. The square can get a little rowdy at night when the younger set takes over. 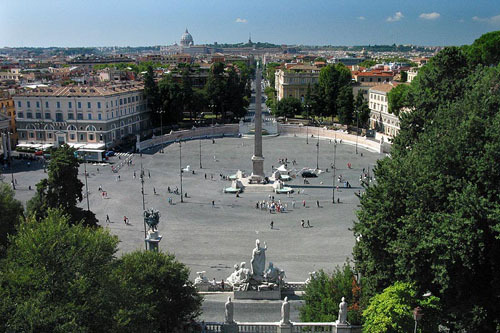 Centrally located, and near the Piazza Navona, a hub of café activity and artists in the summertime. 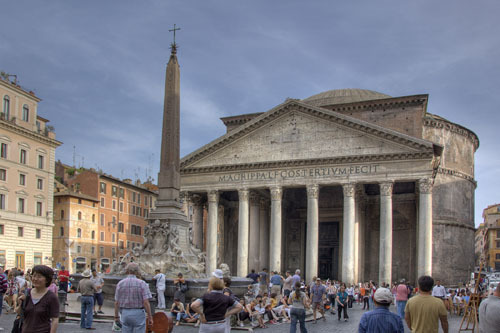 The Pantheon is the best preserved monument in Rome. This “Temple to the Gods” was once the largest dome in the world and still serves as a testament to Roman architectural prowess. With its internal height equal to its diameter, the dome is the largest structure ever made of unreinforced concrete. Experts theorize that it retains its strength because of the shape: walls thick at the base and thinning as it rises; its composition: basalt aggregate and volcanic ash; and the layered construction technique: repeatedly poured, tamped, and dried, layer upon layer. Its massive columns were quarried and transported from Egypt and the building itself was converted to a place of worship to save it from pillaging and destruction. Among the famous tombs in the Pantheon is the tomb of the artist, Raphael. Mass is held on weekends. Still a church, the Pantheon offers free entry making it one of the great bargains in Rome, unlike the surrounding cafes and shops on the Piazza della Rotonda. Still, it’s not hard to cough up five euro for a luscious hot chocolate on the Piazza. Contemplate those heavenly pleasures watching the moon set over the dome filling the night with a mysterious glow. Student Price: 4.00 Є (4.29 USD), School students (not university students). Treasures here go far beyond the prima donna Sistine Chapel. Other highlights include mummies in the Museo Egizo (Egyptian Museum) and the statue of Augustus in the Braccio Nuovo (New Wing). The Apollo in the Belvedere Court of the Museo Pio Clementino is another favorite, as is the Stanze di Raffaello (Raphael Rooms), starring School of Athens. 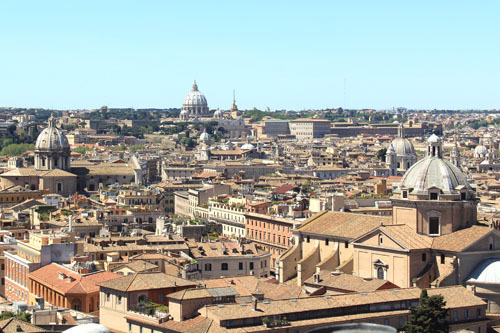 The Musei Vaticani now enforce entry rules that hurt independent travelers. Only pre-paid groups can enter before 10am. And last entrance is two hours before closing. Irritating? Si, certo. But the museums suffer from overcrowding and simply don't care. 2-3 hour guided tours for individuals and groups can be arranged - see Vatican Museums website for details. From St Peter's, walk north around the Vatican Walls. The stroll takes 10 minutes, unless a half-mile-long line has formed. The nearest Metro stop is Cipro Musei Vaticani (Line A) about five-minutes' walk north of the museums' entrance. Dress suitably for admission: no shorts, miniskirts, bare midriffs or shoulders. Built in the 1700s to connect the church, Trinita dei Monti, at the top of the steps to the Piazza di Spagna below, this grand, assymetrical staircase was a debated project at the time and is now a glorious people watching venue. In the summer, sit at the top, relax, enjoy the flowers, the tourists in horse-drawn carriages, the street artists, the view of the Piazza below and the endless Via Condotti , well known as a shopping street. The wealthy can enjoy their views from the comfort of the surrounding luxury hotels, such as the Hassler or the Hotel Eden. This is a free activity, but tourists can drop a lot of money on street art, carriage rides, expensive coffee and snacks in a short period of time. 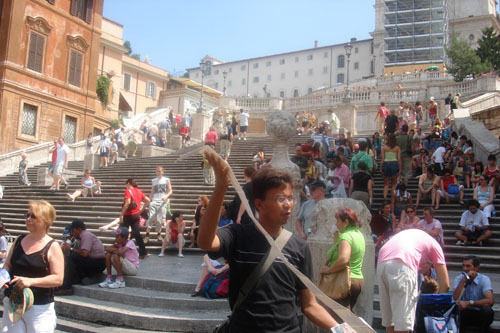 Watch out for pickpockets preying on gullible tourists. Walking tours from 40 euro. Featured in Puccini’s Tosca when the eponymous heroine flung herself from the roof, this squat, rotund fortress was built on the side of the river Tiber by Emperor Hadrian in 135AD as his own mausoleum. Over the years it was turned into a papal residence, and eventually linked to St Peter’s in the Vatican via a secret underground passageway by Pope Nicholas III in the 13th century – one much used over the centuries as popes were repeatedly required to flee from invading forces. Grand Renaissance apartments were built here for various popes and their hangers on, Michelangelo had a hand in designing some of them – see the chapel in the Hall of Apollo. Considering the corrupt nature of such 16th-century popes as the Borgias, it is somehow appropriate that by the 19th century the fortress had become a prison. 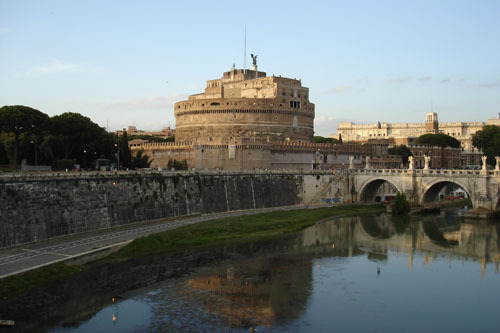 Today the fortress has several small museums (armour, urns, and history) but its chief attraction is the matchless views over the Tiber to Rome’s centro storico, and over St Peter’s Square and the Vatican City. The roof is accessed by a spiral ramp that wends its way upwards inside the building; the landmark statue of the Archangel Michael takes center stage. Enjoy the bar and cafe at the top. Be aware that it gets crowded during peak periods. Run under the umbrella organisation of the Museo Nazionale Romano (National Roman Museum), the Crypta Balbi is often overlooked by visitors to the Eternal City but in fact it is an eye-opener of a museum in the heart of the ancient city. 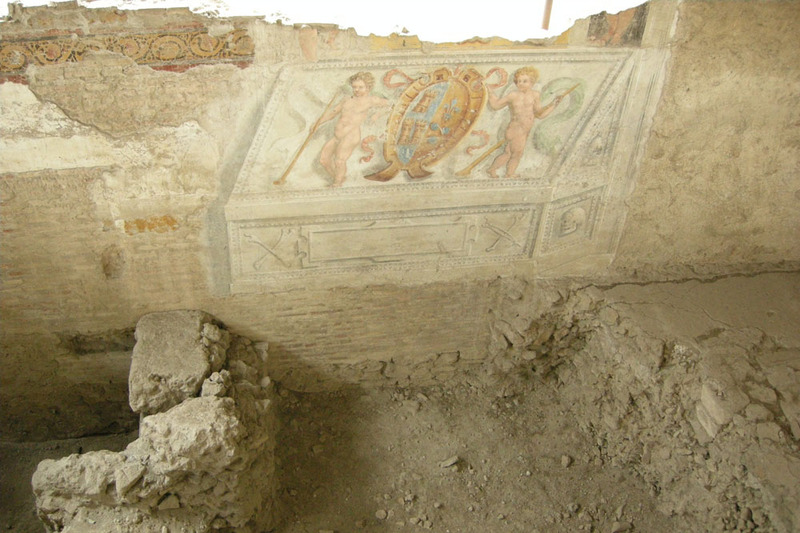 Built over the Teatro di Balbo, which dates from 13 BC, the Crypta incorporates the relics of several medieval buildings and presents multiple layers of Rome’s history from Imperial to medieval times. Opened in 2000, it is an exhibition in three parts: the upper level offers displays marking the development of Rome between Antiquity to the Middle Ages, including several 5th–10th century maps, ceramic urns, coins and tools; the ground floor is laid out as an excavation site detailing the transformation of the city over two centuries, but the museum’s real highlight lurks below. The remains of the Teatro di Balbo and its ancient courtyard are navigable through crumbling arches, thick stone columns and a maze of passageways still flagged with original paving.